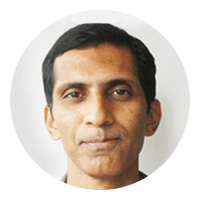 Raghu brings over 25 years of Sales experience in Information Technology products and services in India and the US. Raghu is responsible for Sales, Professional Services, Business Development & Customer Support for India, the Middle-East and the Asia-Pacific region. Prior to Digité, Raghu was with Infosys Technologies and HCL Technologies where he was responsible for creating and managing key accounts. Apart from sales and relationship management, Raghu has experience in strategy planning, operations and large change management programs. He started his career with HCL Hewlett Packard in India where he was a Regional Sales Manager responsible for the sales of system integration solutions to large corporate customers. Raghu holds a Bachelor’s degree from Indian Institute of Technology (IIT), Delhi.